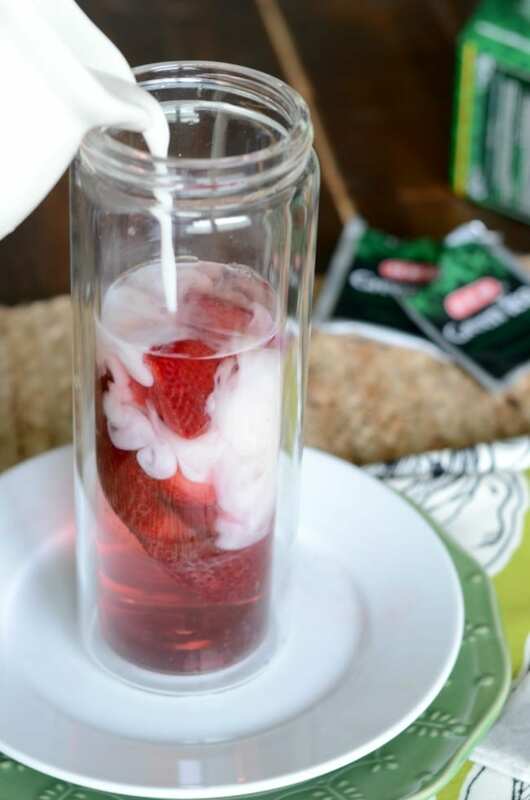 Want to make the famous Starbucks pink drink at home? Check out this super easy recipe below! I have a confession to make. I haven’t been to my beloved Starbucks in a few months. (Insert gasps here.) There are a few reasons for that. The first being I haven’t been drinking coffee as much lately. My Crohns started bothering me and I stopped drinking coffee all together for a few months. I missed my morning coffee so much but I knew it would help heal my stomach faster if I stopped drinking it. The second reason is that I can pretty much recreate any Starbucks drink at home for a fraction of the cost. 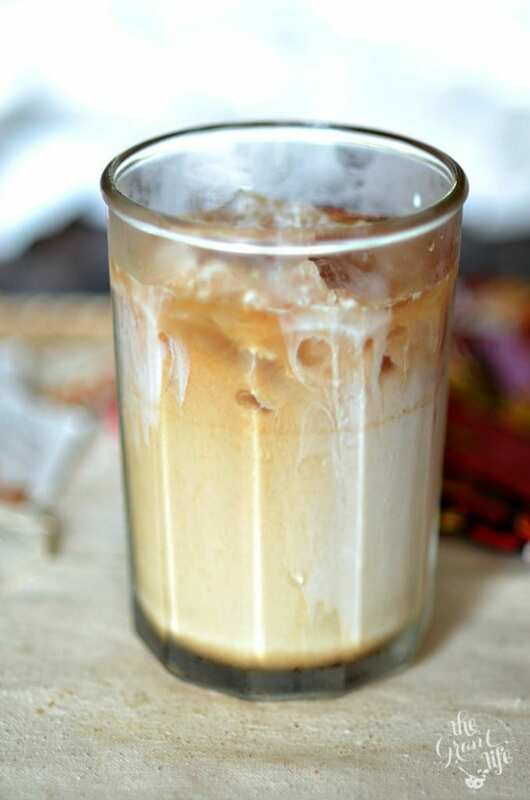 As much as I love being able to drive thru a Starbucks and have someone had me a freshly made coffee drink, I enjoy making said drink at home more. One of my favorite drinks to make at home is Starbucks pink drink. It’s super easy and so good! This was my first question when I first started seeing it all over Instagram. Everyone was proudly displaying their light pink drinks with strawberries from Starbucks. I asked one of my friends who had mentioned that she had the drink 3 times that week. She told me it was a strawberry acai refresher from Starbucks but instead of water, you ask for coconut milk. After I ordered a pink drink for the first time I was hooked. I loved that it was smooth, slightly creamy and a great flavor. I loved it! Of course I wanted to recreate it at home so that I could have one whenever I wanted. I knew that it was the strawberry acai refresher with coconut milk, but a quick glance at the Starbucks website gave a better idea of the pink drinks ingredients. I was able to pick up the tea and coconut milk at my local Target and I already had the frozen strawberries on hand. If you can’t find the Lipton that I used, you can try any variety of tea you’d like. Starbucks uses freeze dried strawberries in their drinks but I love using frozen berries in mine. The main reason is that ice waters down your drink when it melts unlike frozen berries. 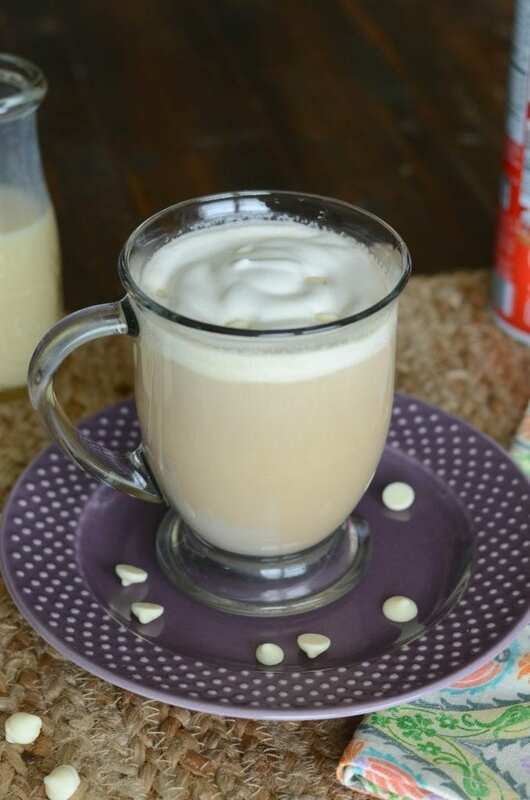 It’s an easy way to keep your copycat coffee drinks tasting great. 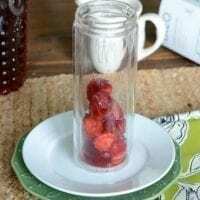 Feel free to use freeze dried strawberries and ice if that’s what you prefer. Once you have all your ingredients, it’s pretty easy to make your own pink drink at home. You can even double or triple the recipe and keep a concentrate on hand for whenever you want a quick pink drink fix. To start you brew one bag of acai tea. Let it steep for a few minutes and then discard the tea bag. This is the time to add your sweetener of choice. Monk fruit, sugar or honey are all great choices. If you are using sweetened coconut milk than you may not need any extra sweetener, but it’s your choice. Allow it to cool before preparing your drink. If you want to make a concentrate, triple the water and tea bags uses. Add to a pitcher and keep it in the fridge. 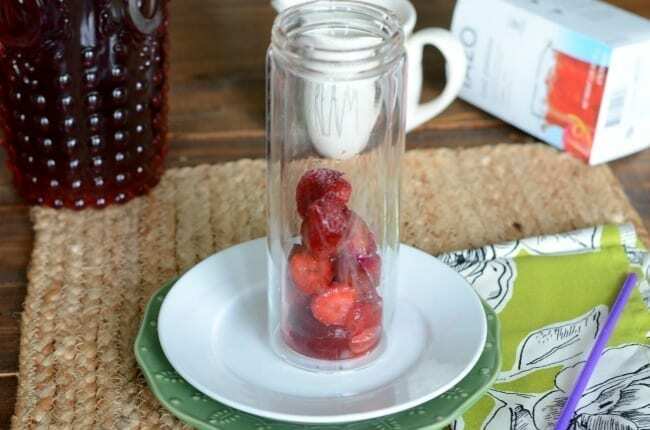 Once your acai tea is cooled add it to a cup along with your frozen strawberries. Pour in your coconut milk and stir to combine. 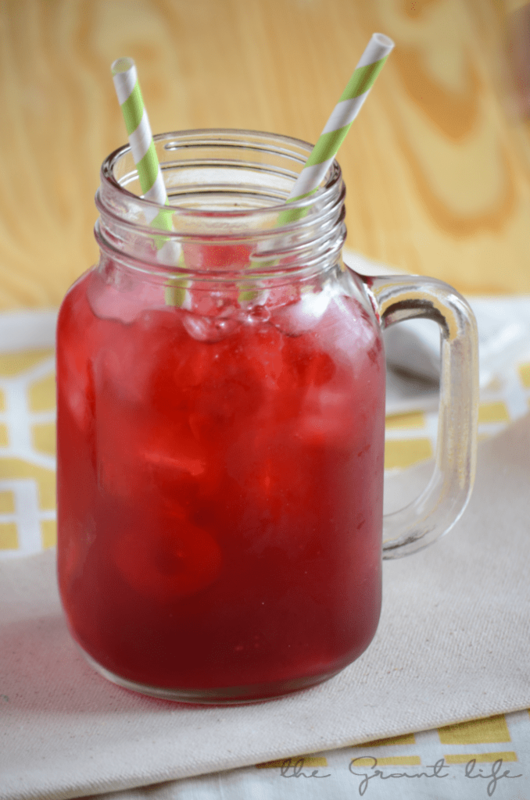 Super simple and once you have the acai tea on hand you can make one anytime! 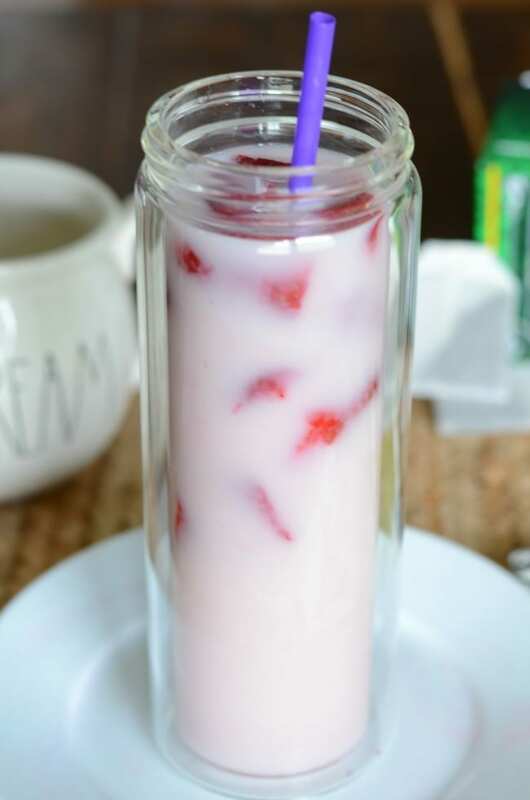 Copycat Starbucks pink drink recipe. Steep the tea bag in the boiling water for 5 minutes. Remove tea bag and discard. Add in sweetener of choice. If you are using sweetened coconut milk, omit this part. 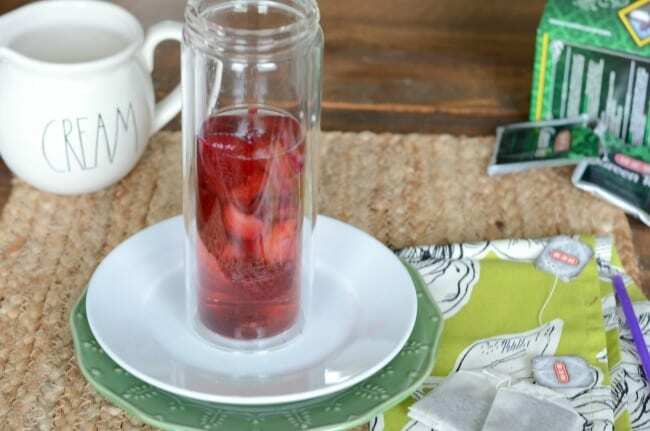 Allow tea to cool before adding to a cup with the frozen strawberries. Pour in coconut milk and stir to combine. To make a quart of acai tea as a concentrate - brew 4 tea bags in 2 cups of boiling water. Add in sweetener of choice. If using sweetened coconut milk, omit. Allow to cool and then pour into a pitcher and place in the fridge. When you are ready to create a pink drink - pour 1/2 cup of the concentrate in a cup and add in 1-2 cups of coconut milk.